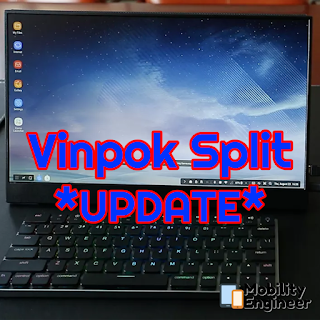 The Vinpok Split that I previously spoke about is currently live on Indiegogo. I was very excited about being able to use this monitor with Samsung DeX... 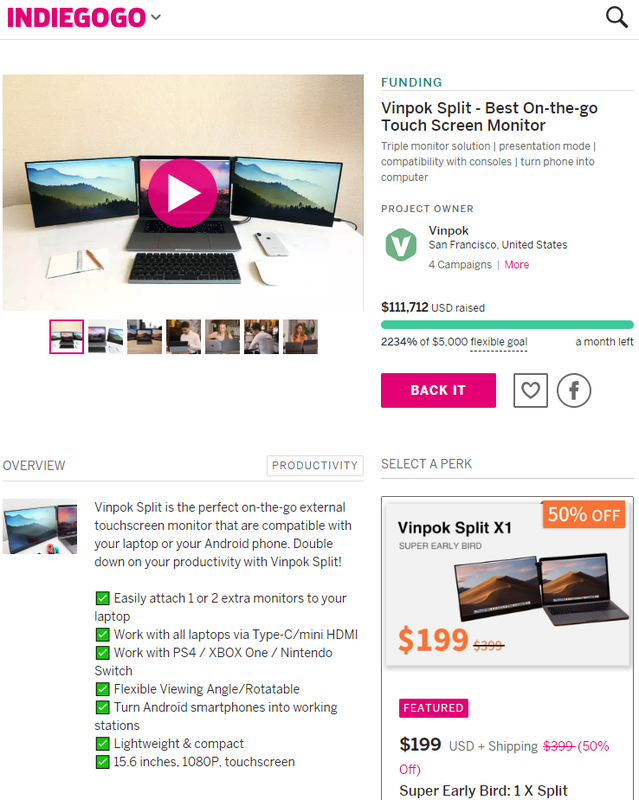 The page on Indiegogo mentions that it can "Turn Android Smartphone Into Work Station" and shows an image with a DeX desktop... but it does not mention DeX at all. When I started typing this post $111,712 has been raised of the five grand they were seeking of this flexible goal. The 50% price, $199, for early birds, had about 200 orders left. 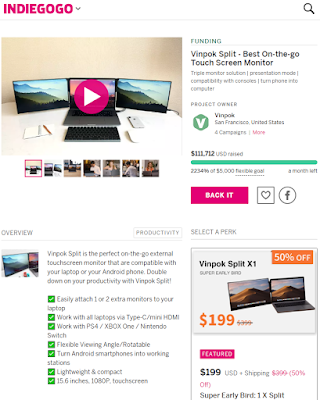 I stopped writing to place my order as they are now over $135,000 with UNDER 50 specials left. I also placed an order for the kickstand case, for an extra 20 - on special. 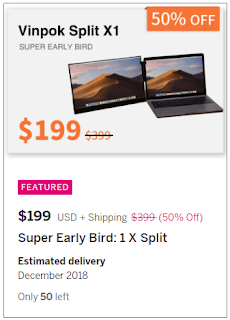 I see the price going up to $399 within an hour. A December delivery is quoted. UPDATE: Seems more specials have been added.